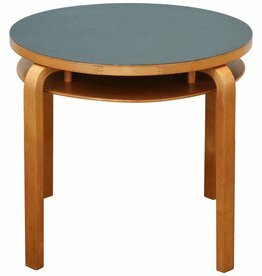 This piece is an re-edition of the original design. 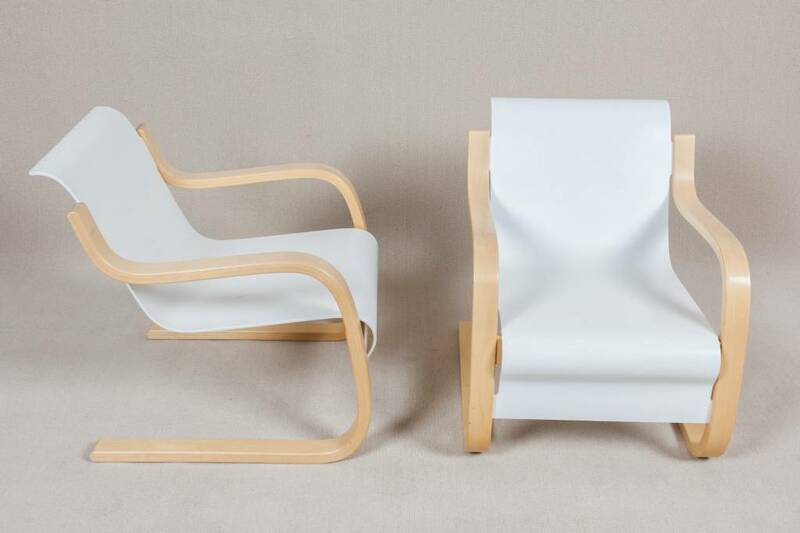 Another sculptural chair which seems to test the limits of bent plywood manufacturing. 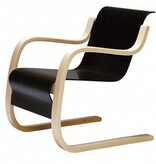 This model was first shown at an exhibition at the Nordic Building forum in 1932. 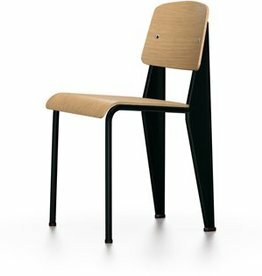 The chair's framework consists of cantilevered laminated wood legs (which flex for your sitting comfort), between which rides the seat-a thin sheet of plywood slightly curved at both top and bottom. 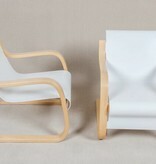 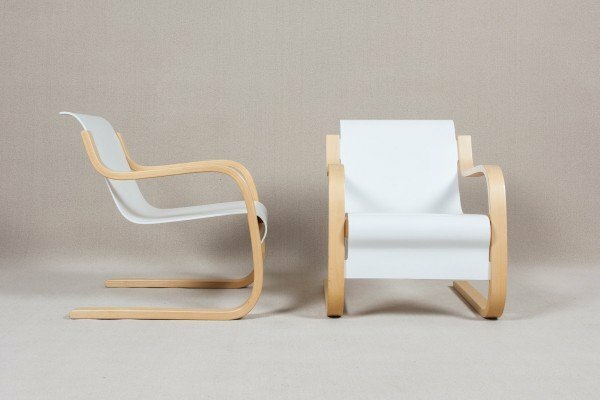 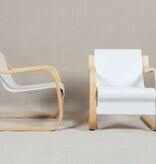 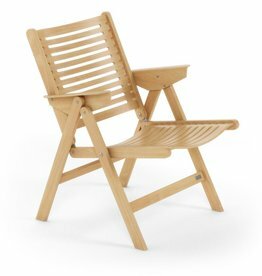 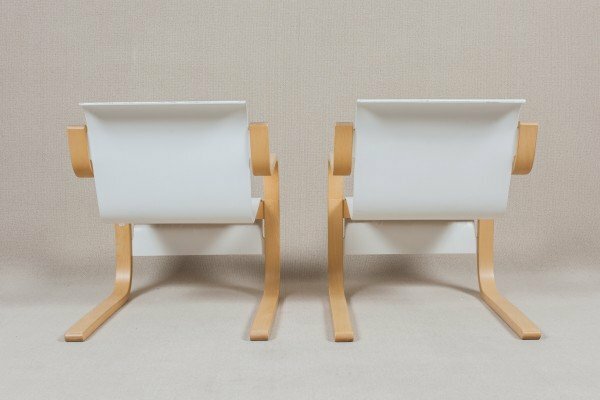 Aalto chose to use native birch for its natural feel and insulating properties. 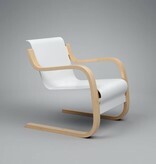 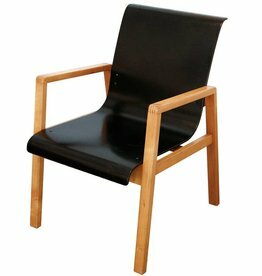 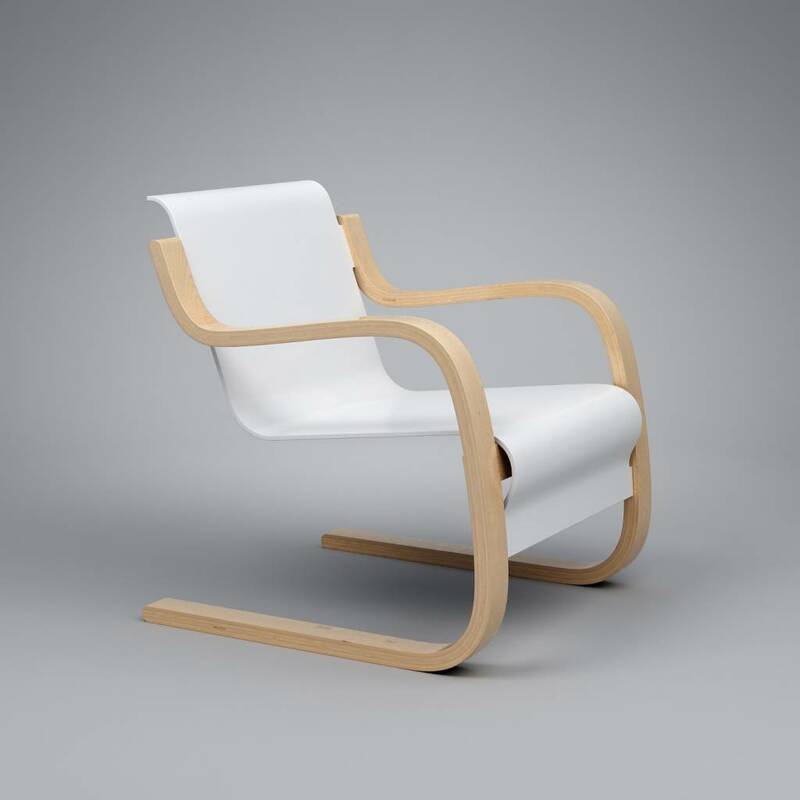 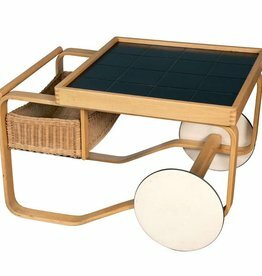 The framework is natural lacquered birch, the seat is available lacquered in your choice of either black or white. 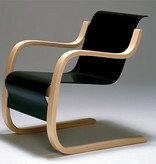 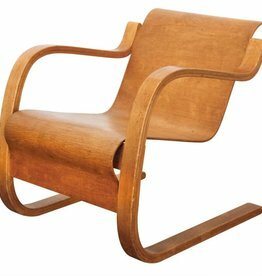 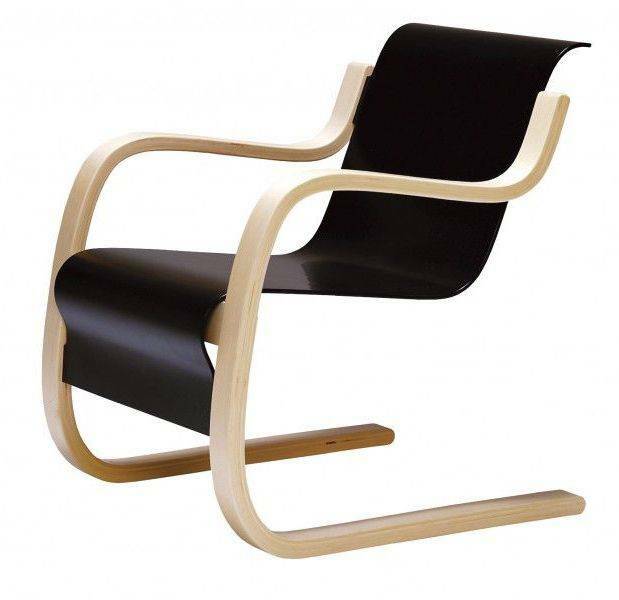 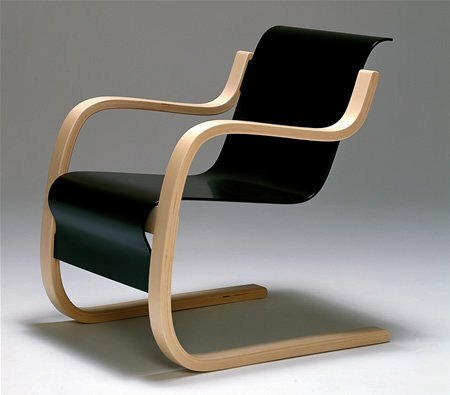 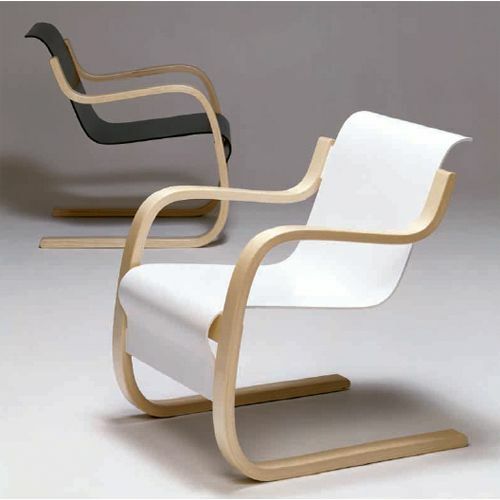 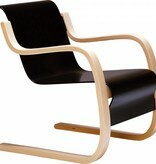 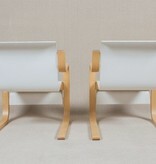 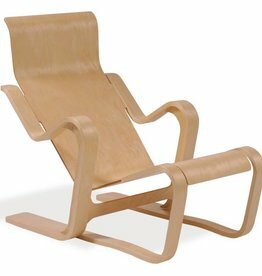 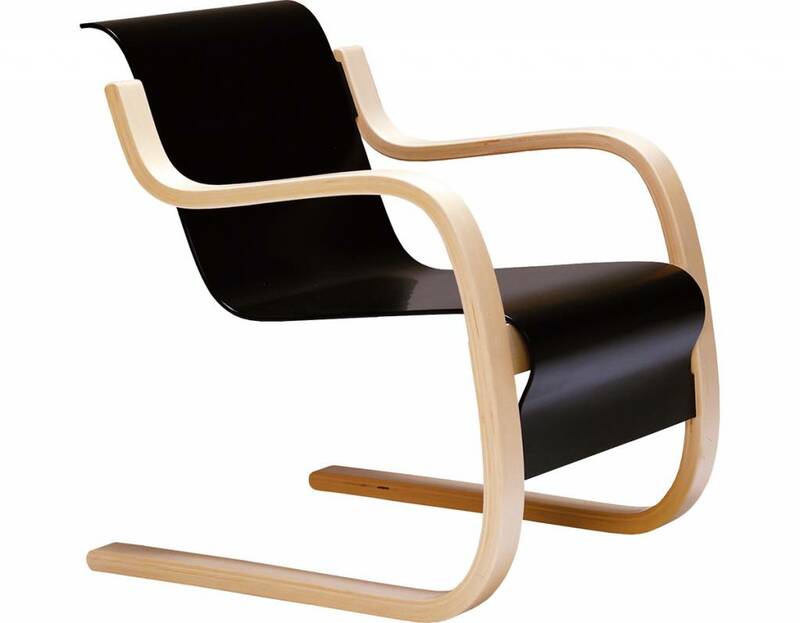 Chair no 51, designed by Aalto for the Paimio Centre. 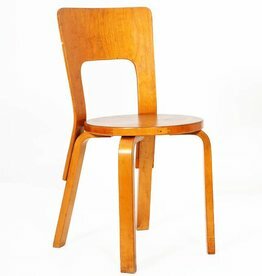 Production in the 50's. 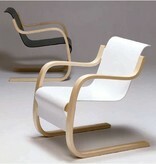 Natural - White - Dark Brown - Black - Walnut - Teak.